Carlos Ruiz taking a stimulant? He always looks so sedate and calm, it's hard to believe that he would do that, but that is what the MLB announced late this afternoon. Chooch is suspended for 25 games and it was revealed that this was the second time that he has tested positive for a banned substance. The first one is a free pass unbelievably when it comes to a stimulant. 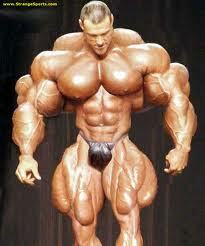 Is it me, or does the MLB have more excuses than they should be giving out for these ballplayers? In this day of chemicals and drugs pervading society, the MLB is doing what it can to police it's players, but some would claim it's even too lenient. The drug involved treats hyper-activity and ADD, and if Ruiz suffers from that, he never let anyone else know about it. If no doctor prescribed it for Ruiz, he's likely has dabbled in it and other things, though the MLB didn't reveal what his first positive test was for or when it was discovered. This sets a bad example for baseball, a bad example for the Phillies and it costs Ruiz a lot of money. More important though is the reputation he enjoyed with fans. Ruiz was always looked upon so fondly and though we don't know any of these player's habits in the off season, we want to believe that they are like Superman, living each day like a wonderful dream, being a baseball player and getting so well paid to do it. That dream was just shattered today, could be just the first bit of bad news for this team again in 2013? Ruben Amaro has hinted strongly at the possibility of the Phillies trading to fulfill their needs of this offseason. In a recent interview with CSN Philly, Ruben Amaro Jr., Phillies GM, seemed to hint strongly at the possibility that the Phillies will have to trade to accomplish their goals of getting a few positions that they need to improve at before the 2013 season starts. Hopefully, those trades won't mirror the ones from last year, when Amaro practically gave away two of the players who were producing some offense on the club, but somehow were both tabbed to go to west coast teams that seemed to be in contention in making it further into the playoffs. I don't remember the Phillies ever getting gifts like those from any major league team in the past. The Phillies sent Cliff Lee through waivers last season, and then pulled him back. Is he the trade that is hinted about in this interview? Or will it be someone that we don't suspect to be traded. With the Toronto Blue Jays mega deal that they just purchased from the Florida Marlins, thoughts abound on whether the Phillies may entertain a deal with them now that they are stocked with higher caliber players. Maybe no Phillies player is actually safe from being traded this year unless they have a 'no trade' clause. The team is getting older and what this team desperately needs in a youth infusion which they will have with Darin Ruf, who looks like he may be the next great Phillies long ball hitter. Ruf didn't play much near the end of the season, but look for him to play more in '13 for the Phillies if they are smart. Thanksgiving is a time of cheer and goodwill, and that is what the Phillies ballgirls and the Phillie Phanatic tried to do at the Philadelphia VA Medical Center. 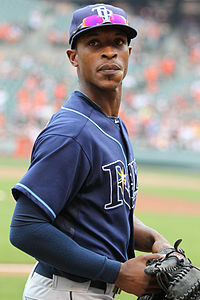 Though he's never been an All Star, the Phillies are seriously pursuing BJ Upton to be their center fielder for the Phillies for a least a few years. This is one of those times that has me scratching my head and trying to figure out why. Upton may be a good center fielder but when it comes to his glove, his numbers speak loudly with his bat. He's never had a season of more than 82 RBI and he has hit with a lifetime average of .255 during his 8 year career. Last year he struck out a career high 169 times and turned in a .244 BA for the season. Is this the kind of player the Phillies want to sign to be their center fielder? Perhaps the Phillies should stick to developing the skills of John Mayberry Jr. and improve this team in other areas. The kind of player Upton is really won't make an offensive mark on this team that the Phillies really need. The team sent Shane Victorino out to the Dodgers last year, and he has accomplished more than Upton in his career and has a much higher batting average, which is what the Phillies need. Time is going to tell if the Phillies are successful in landing Upton but if you look at what Upton has done so far in his career, it doesn't speak of a player that is going to immediately make his presence known on this team that needs a spark on offense. It's a gray November day outside in the Philadelphia area today, but that's not a bad thing. A lot of people can catch up on their reading, especially with all of the Phillies books that are out there. 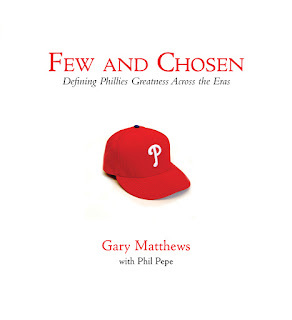 Tonight, we'll talk with Gary 'Sarge' Matthews with his book "Few and Chosen: Defining Phillies Greatness Across the Eras". We'll talk about all of the preparation that went into making the book and the many players that Sarge had to choose from in coming up with a book of Phillies great players. Join us to hear the show live tonight at 8 pm or you can find us wherever you find great podcasts; iTunes, Android, Stitcher Radio, TuneIn.com, and many more. 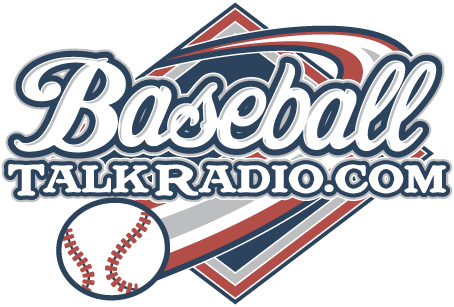 You can even find us at BaseballPodcasts.net, which is a site that is devoted to baseball podcasts. The Baseball Writers' Association of America have named R.A. Dickey of the NY Mets the NL Cy Young Award winner for 2012. You have to go back to 1985 to find the next Mets pitcher who won this award, Dwight Gooden. Dickey has certainly earned his Cy Young at 38 years old, and pitching in his 10th year in the Majors. He finished up the 2012 season at 20-6 and enjoyed a 4.76 average run support by the Mets during all of his starts. David Price won the AL Cy Young Award for the 2012 season. The Baseball Writers' Association of America votes for the NL and AL MVP's today, we'll find out later who wins that award. The great run that the Phillies team has produced has resulted in a blossoming of new books about the team, every year now it seems that there is more and more written about the Phillies both past and present. 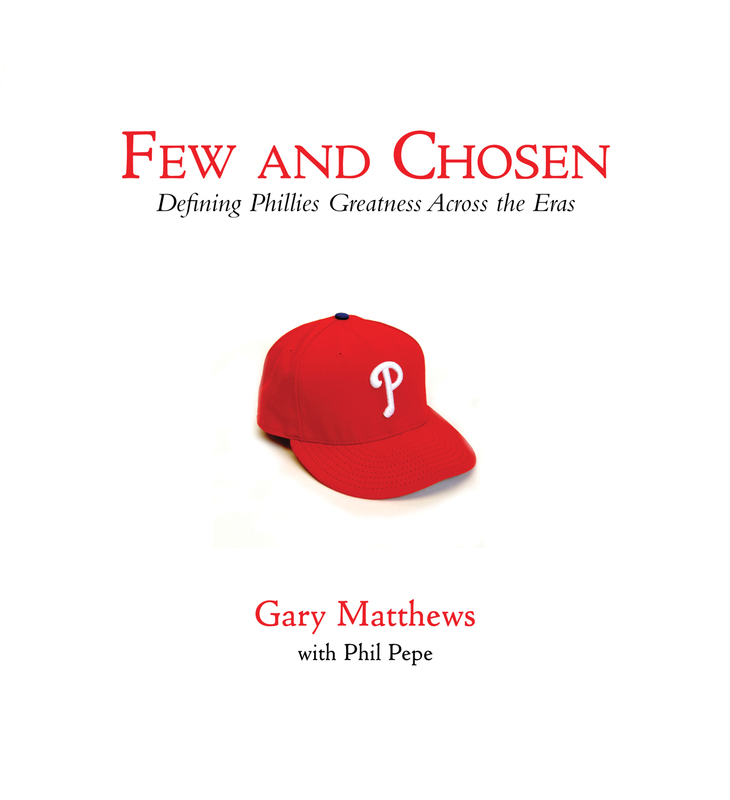 A book that a lot of Phillies fans may want to have as a holiday gift this year is by Gary Matthews and Phil Pepe. It's called 'Few and Chosen: Defining Phillies Greatness Across The Eras'. The book is part of a series of 'Few and Chosen' books by Triumph Books of Chicago. In the first sentence of the Preface in the book, you'll learn how Gary Matthews got his nickname, "Sarge." I am not going to tell you, you'll either have to read the book or listen to the next Phillies Talk Podcast that you can find right here on the website when we talk with Gary about this book, we are recording the show on Sunday. If you like Phillies baseball, you're going to like this book. It's a collection of stories and player reviews that you might not have heard before. That is what is interesting about books like these, you learn a lot of new things about the team along the way. Gary Matthews selects the players that he believes makes up the all-time Phillies team and tells a little of his journey into major league baseball and eventually making his way onto the Phillies team. A lot of current Phillies are in the book, as well as familiar names that you'll remember if you followed the team back in the 1980's when Gary Matthews played on the Phils. We're giving this a double thumbs up for a great off-season read and a nice addition to any Phillies fans collection. Jimmy Rollins has a thing for Paris, anyone who has viewed some of the photos that he takes on his vacations via twitter knows that Rollins has a bit of Parisian in him at times. If you've ever been to Paris you probably know why Jimmy would like such a wonderful place. Last night, Jimmy Rollins brought a bit of Paris to Philadelphia via a charity event in Center City Philadelphia. David Grzybowski from LaSalle University, made a video of the event. David is the host and producer of Sports Talk Philadelphia, from LaSalle TV. The Phillies Talk Podcast recorded on November 11, 2012 - this week the show covers a bit of the November Winter Meetings, and also reminds the listeners of our talk with Gary Matthews next week with his book 'Few and Chosen - Defining Phillies Greatness Across The Eras'. This book will have an extensive review during this coming week on the blog leading up to the interview with Gary, who is also a broadcaster for the Phillies games. On this show, we also include a show that was recorded in April of 2010, with Rob Maadi from the AP on his book about Mike Schmidt. You can pick up the book from the link below for a very great price. 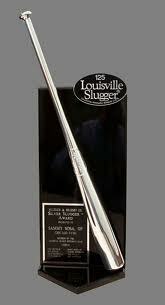 The baseball awards season is upon us, and yesterday the Silver Slugger Awards were announced. It's no surprise that the Phillies didn't have any Silver Sluggers on the team this year, but this award isn't too easy to get and the Phillies actually haven't had a winner for this since 2009 now when Chase Utley won his 4th Silver Slugger Award in a row. Utley won the coveted award from 2006 through 2009, the Silver Slugger is the top player in each position as voted on by coaches and managers of Major League Baseball. Ryan Howard was a Silver Slugger only once so far, in 2006. Jimmy Rollins won the Silver Slugger in 2007, which was the same year he was MVP of the National League. Rollins did pick up a Gold Glove Award this year, the award is also voted on by coaches and managers of each league and they are not allowed to vote for their own player. The big awards have yet to be announced. Here is the schedule for 2012 for the Rookie of the Year and MVP and other awards yet to be announced for each league. Meanwhile, in Palm Springs, California the MLB Winter Meetings are being held, and last night, Phillies GM, Ruben Amaro gave a little hint at what you could expect from the Phillies moves for this season. Signing good players seemed to be at the top of the list. Phillies Talk Podcast - Free Agents for Phillies? 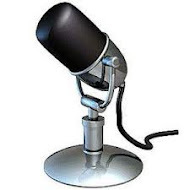 Play the already recorded show right here The offseason is a long one this year. We'll discuss who the Phillies should be looking at this year in the offseason. The Reading Phillies won't the the same team after last year? Supposedly, the Reading Phillies are changing their name and logo in two weeks. The area around New Jersey and up the coast of Northern New Jersey and New York and parts of PA are still trying to be back to some sort of semblance of normalcy with the devastation of Hurricane Sandy, it's been hard for a lot of people to even think about baseball. We pick up the pieces and carry on, our lives try to regain that middle ground of stability and then we start thinking about our passions again. For this writer, it's baseball and here's hoping that a lot of help comes to the way of the Hurricane survivors to help them regain their lives and passions. One player for the Phillies that played with a whole lot of passion and power last year was Carlos Ruiz. 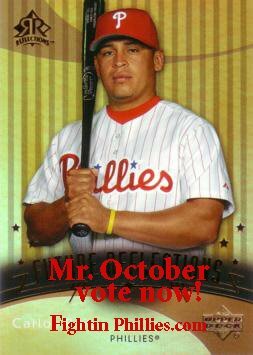 Carlos Ruiz played like superman last year for the Phillies. He's proven that his presence on the Phillies goes much deeper than just being a catcher, which is what most teams value most about a guy in that position. Last year Carlos showed some really awesome offense to his already stellar defense. He's been in the majors for 7 years and last year was the first year he was crowned an All Star. Carlos turned it up a notch and helped out with some power with 16 HR and 68 RBI and 4 stolen bases. All of that in only appearing in 114 games. Did I mention he also had a .325 BA as well? The Phillies could have signed Ruiz to an extension but didn't do that, instead they did pick up his $5M option for 2013, this season will pay Ruiz more than half of what he's already made in baseball so far. Ruiz has been a bargain for the Phillies as far as salary as compared to other players on the team is concerned. His pay was $425,000 in 2008 and $475,000 in 2009. Only a few years ago, the Phillies signed Ruiz to a contract that any significance to it, and even then according to baseball salaries, it was considered small. The Phillies have so much money wrapped up into so few players, it's kind of easy to see now in the off season where some tweaks need to be made. Ruiz wouldn't be one of those tweaks. He's been a veteran catcher for years now, and the Phillies need stability elsewhere but probably should have tried to sign Ruiz to another 3 year deal but didn't.